Mrs Millar entered my life in 1986. I was a skinny 12 year old with a face full of freckles. She was my Year 8 teacher. It wasn’t my favourite year of school. I faced hormonal surges, erupting pimples, squabbles with friends, and the impending doom of college. Yet Mrs Millar made my school days bearable. She easily takes the cake for favourite teacher. She made such an impression on me, that I wanted to become a teacher just like her. 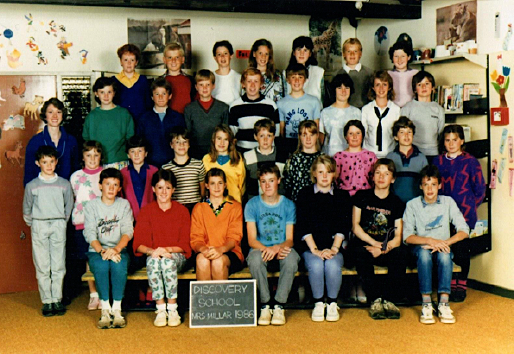 So what was it that Mrs Millar did almost 30 years ago to make her a teacher to remember? And do her attributes still have a place in classrooms today? As I reflect on my Form 2 year I don’t recall any of the learning that took place nor how the classroom looked. What I do remember, with remarkable clarity, is how Mrs Millar made me feel. She made an effort to know and value me at a time when I was plagued with self doubt. I felt safe, I felt important, and I wanted to learn. It seemed that Mrs Millar had all the time in the world for her students. She would sit and chat – before school, at break times, and during lessons. In a sea of adolescent dramas, she provided waves of empathy and advice. She asked about our home lives, our friends, and our interests. She shared pieces of herself too, allowing us a glimpse into her own world. They made every student feel like one of their own. Research highlights the far-reaching influence of positive teacher/student relationships. Long term studies from the US show that students who experience high quality relationships with their teachers in the early years have fewer behaviour problems, and show more engagement and achievement in the classroom (Hamre and Piata 2001; Rudasill et al 2010; Wu et al 2010; Hughes et al 2012). The relationship that students in these schools form with their teachers is crucial … the data in this study shows that it is not only important to these students but is a prerequisite for learning. If a teacher has not been able to form a positive relationship of reciprocal respect the students in that class will find it very, very difficult to be motivated to learn. p 7. Te Kotahitanga, an extensive long-term study of Māori student achievement, reinforces the significance of relationship building. Researchers developed an Effective Teaching Profile on the basis of interviews with students, whānau, principals, and teachers. This profile, which has care and relationships as key drivers, formed the basis of teacher professional development. Results show that students’ learning, behaviour, and attendance improved dramatically in the classrooms of teachers who participated in the professional development intervention. Despite knowing the benefits of positive teacher/student relationships, it is easy to forget to connect. As we rush through the busy school day, under pressure from tests that need to be marked, meetings to attend, and planning to complete, we can neglect to interact with our students. I have begun to think about ways that we can know our students better. Have you thought about scheduling time to connect with your students? Although it may seem a little contrived, it is a sure fire way of making relationships a priority. I recall a time last year when I chatted to a 9 year old boy while I was on playground duty. I learned so much about this student’s life in the ten minutes we spent together … his parents had recently separated … he had to choose who to live with … he chose Mum to keep the numbers even. I was his captive audience. He offloaded, we bonded. It was quality time. Perhaps playground duty dates with your students could be a way for you to connect? Or maybe you could seize the chattable moment while students are reading quietly in class or as they eat their lunch? However you work it, scheduling time for connecting gives it the precedence it deserves. We all have students in our class who are difficult to connect with. They may be shy, aloof, dismissive, naughty, or irritating. But it is our responsibility to build productive relationships with every student we teach. In some cases, this requires perseverance. My daughter Milly was a shy and introspective pre-schooler who took time to settle to kindergarten. 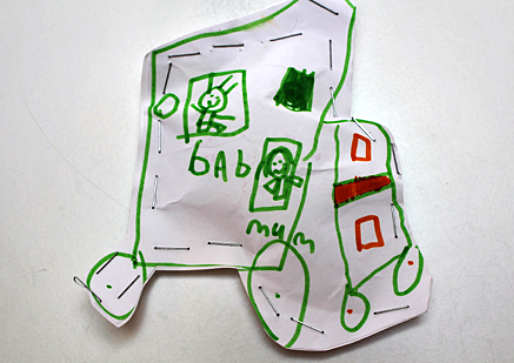 The changing point for her was when she and her teacher Andrea discovered a mutual love of caravans. This eureka moment was reached by Andrea after weeks of drawing conversation out of Milly. A rapport quickly developed between the two of them and Milly was much happier to say goodbye to me at the kindy gate. Will you like all your children? Of course not. And you know your toughest kids are never absent. Never. You won't like them all, and the tough ones show up for a reason. It's the connection. It's the relationships. Every student enters your classroom as a culturally located individual. To know the student, you must know their culture. As you build relationships with your students, consider how you can gain better understandings of their daily life, their values, customs, beliefs, and languages. This may require you to challenge your own personal beliefs and actions. Patricia Grace’s short story Butterflies offers a poignant illustration of cultural divides. The teacher in the story fails to look beyond her own world view and castigates the child’s beliefs and practices through her words. This story serves as a beacon for what not to do in the classroom. Seek to understand and celebrate the identities, cultures, and languages of all your students. As well as being the magic elixir for student achievement, It is your onramp for connection. It wasn’t until I had my own children that I realised just how much students enjoy hearing about their teacher’s lives. Last year, my son Tom relished the chance to tell me that his teacher was fostering kittens. He relayed daily updates to me with an elated air, thrilled to be privy to insider information about his teacher. When I am willing to share things that have happened to me in my life, my students begin to share as well. I know that this approach is working when even the most quiet and reticent students begin to speak up. Relationships are a two-way street. When you share things that have happened in your life, your students will feel closer to you and be more willing to give a piece of themselves back. Mrs Millar isn’t the only teacher to have touched my life. While she ignited my desire to teach, it was Mr Bowles who shaped the pathway that I took to get there. I met Mr Bowles in 1988. He was my Year 10 social studies teacher. One day he asked me what I wanted to do when I left school. When I told him that I was heading to Teachers’ Training College he encouraged me to get a university degree first. I heeded his words. University offered me a rich cultural and social scene. My worldview was broadened and with a thirst for learning, I returned to postgraduate study. 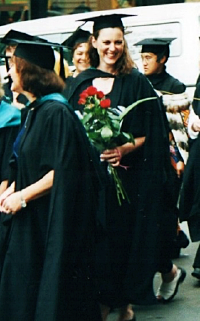 Ensuing qualifications earnt me a higher teaching salary, allowed me a choice between secondary or primary teaching, and fast tracked my career. I doubt that Mr Bowles is aware of the influence of his words that day. His advice was life-changing. In teaching, it is the human touch that really matters. Teachers who show interest, who listen, who care, who relate, really do make a difference. I urge you to be that teacher … be a teacher to remember. "Why should a student show an interest in our classes if we do not show an interest in them? Show them you care. Student relationships must come first." Adele O'Leary has a background in primary school teaching. She has worked across all levels in the classroom and in middle management as a team leader and deputy principal. Since 2006, Adele has been involved in projects focusing on enterprise education and financial literacy. This work included creating online resources and professional development workshops for teachers. More recently, she has worked as a researcher, writer, and copy-editor for Digistore. He whetū mārama i te mata o te whenua! Professor Guy Claxton EDTalk | Can schools prepare you for anything?